Linda Burton posting from Tallahassee, Florida – Winter is in full swing now, and most of the snowbirds (aka people who hate freezing temps) have completed their annual migration south. 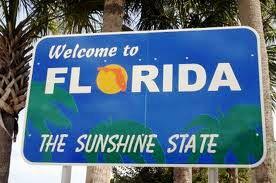 South to Florida, the winter haven paradise. While you may think of southern Florida as the place to go for a winter retreat, I’m finding that Tallahassee offers year-round opportunities for carefree outdoor living. According to NOAA, it has snowed in Tallahassee only 32 times in the last 121 years; mostly trace amounts. Average that out and you’ll see that a dusting of snow may appear once every 3.77 years; not enough to keep a serious golfer off the course, or a serious fisherman off the water. 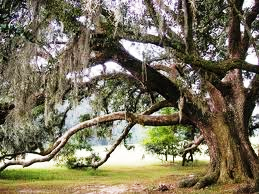 I smile every time I walk outside as I gaze at these rolling hills and massive live oak trees. 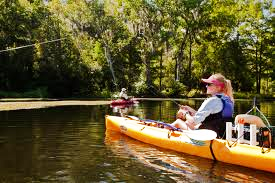 The Tallahassee area has vast tracts of unspoiled forests, spring-fed waterways, and wild coastlines. Visit Tallahassee, a magazine published by Leon County’s Division of Tourism, describes the area as a “rich tapestry of nature and human life.” And that’s not just marketing hype; visitors and residents fit easily into the environment here, engaged with nature’s many offerings. 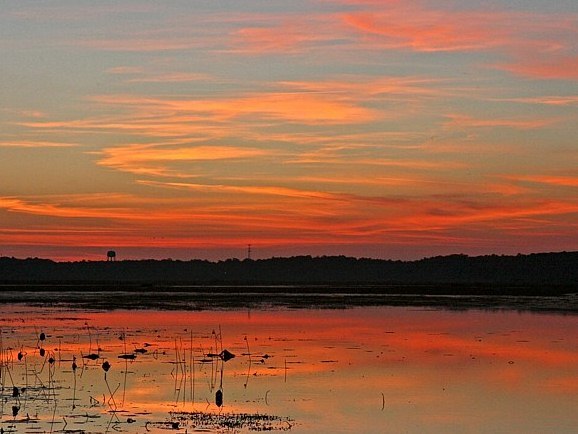 Did you know that nearly a million acres of public lands surround this capital city? There is always something to do outdoors and I’ll start with the granddaddy of them all, the Big Bend Scenic Byway. The Big Bend Scenic Byway is a 220-mile loop that you can begin and end in Tallahassee, or from points along Interstate 10 and US Highway 98. Its Forest Trail is rich with pine forests, hardwood hammocks, streams and rivers; its Coastal Trail leads you to salt marshes, bays, sand dunes, beaches, and springs. Allow two days for exploring the entire Byway; or divide it up into multiple day segments. 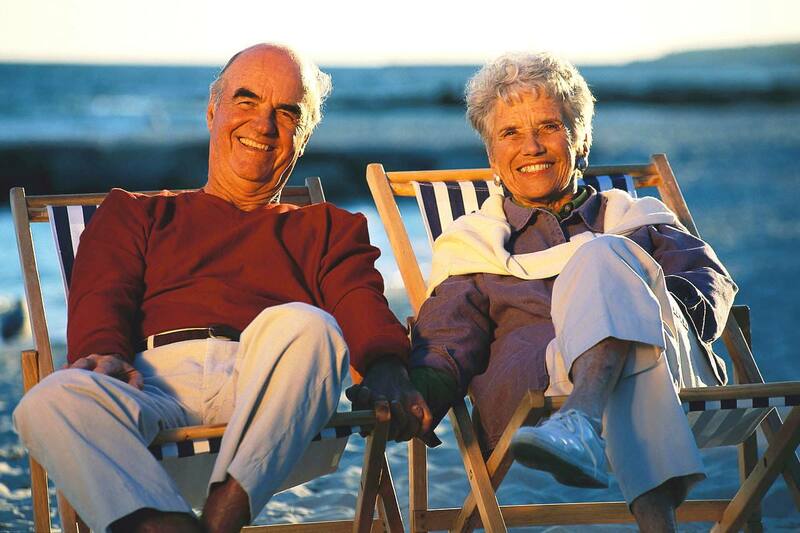 You’ll find great restaurants, shopping, hotels, B&B’s, and guide services in Byway towns; you can be as active as you want to be with hiking, biking, kayaking, fishing, horseback riding, hunting, birding, and swimming. Enjoy nature from any angle; enjoy it any time of year. Winter is the peak waterfowl migration time; in the spring you’ll find the wildflowers and songbirds; in summer wildlife nesting and swimming; in the fall more wildflowers and butterfly and bird migrations. Every day watch for eagles flying high, and alligators basking in the sun. The 2013 Tallahassee Visitors Guide has a lot more suggestions for doing what comes naturally in this capital city, whatever your outdoor pleasure. I’m not a biker but I’m definitely heading for Wakulla Springs State Park with my binoculars. And who knows where else? Biking. The Tallahassee area is a biking paradise; the Munson Hills/Twilight Trails are 21 miles off-road through longleaf pines in the Apalachicola National Forest. Three Tallahassee parks are linked by the Cadillac, Magnolia and Fern trails, totaling 11 miles; the Lines Trail in Talquin State Forest is 9.5 miles. There are trails around Lake Overstreet in Maclay Gardens State Park and Red Bug Trail in Phipps Park. 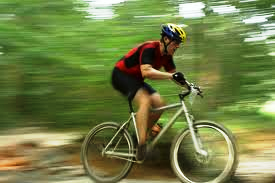 The off-road trails offer optional jumps and challenge courses for intermediate and expert riders. Birding. The Big Bend region is along two major flyways, so catch migratory songbirds spring through fall, swallowtail kites from late winter through summer, bald eagles, osprey, owls and hawks nearly every month. 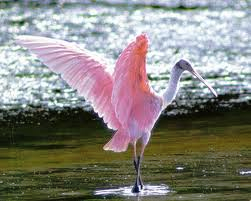 Various shorebirds are common year-round and brilliant pink roseate spoonbills visit on occasion. 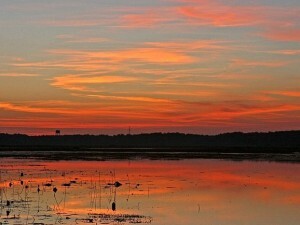 Two prime locations are the 68,000-acre St Marks National Wildlife Refuge along the coast and Edward Ball Wakulla Springs State Park, where almost 300 species have been verified since the early 2000’s. Fishing. Off-shore or in-shore? Charter or bring your own boat? Fishing reigns supreme around here. In Apalachee Bay or the Gulf of Mexico you’ll catch snapper, grouper, cobia, red fish, or Spanish mackerel. The 18 rivers and fresh-water lakes are full of speckled perch (crappie), largemouth bass, striped bass, bream, and catfish; two of the best fishing lakes in Florida are Lake Talquin and Lake Jackson. Hiking. There is a 1,400-mile Florida National Scenic Trail for hikers; some of its most scenic sections are in the Big Bend area. For instance, the Aucilla River and Aucilla Sinks – the river ducks underground and resurfaces in a series of sinkholes. St Marks National Wildlife Refuge has panoramas of vast marshlands along raised dike roads; Cathedral of Palms is a thick canopy of sabal palms that leads to a wild emerald spring. In the 500,000-acre Apalachicola National Forest see the two largest Ogeechee tupelo trees in the world (Florida’s version of giant sequoias). Hiking trails in Talquin State Forest are suited for day hikes; St George Island State Park is where to go for beach hikes. Paddling. Grab the kayak; there are 10 state-designated paddling trails, 20 lakes, and a wilderness coast of tree islands and winding tidal creeks within an hour of Tallahassee. Spring-fed Wakulla, St Marks and Wacissa rivers are cool, clear and beautiful; swamp-fed streams such as Aucilla, Sopchoppy and Ochlockonee, along with two lakes close to town, Lake Lafayette and the Bradford Chain of Lakes, hold darker, tannin-tinted waters, often canopied by moss-draped cypress, gum and live oak trees. Imagine the Native Americans or Spanish of long ago paddling these same waters. Today, you might spot a manatee. Ziplining. Grab a harness. Head for the tree tops at the Tallahassee Museum; integrated within the 52-acres of native plants and wildlife there are over 30 obstacles that will have you swinging from ropes, crossing log bridges, and surfing through the sky fifty feet above the ground. It’s called Tree to Tree Adventures and transports you through swamps, forests, and wildlife habitats. Three different courses – TREEmendous Adventure, Canopy Crossing, and Soaring Cypress – are based on height eligibility rather than age; no experience needed. Maybe you prefer a more leisurely game of golf, or an occasional drive along Tallahassee’s peaceful canopy roads. Or simply sitting outdoors on the patio, glad that you have nothing in particular to do today. In Florida, nature looks good from any angle.